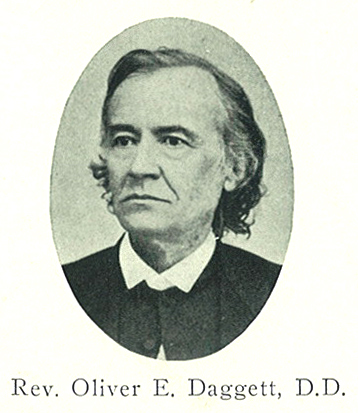 Comments: Oliver E. Daggett (Nee: ) | Canandaigua NY United States | 1851-1900 | Comments: This portrait of Rev. Oliver E. Daggett appears in the following book: "Village Life in America, 1852-1872," by Caroline Cowles Richards Clarke, 1913. See that title for more information. He was a minister at the Congregational Church in Canandaigua.